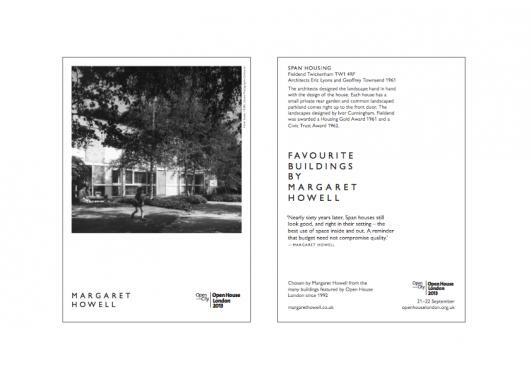 Margaret Howell continues to support Open-City, the architectural education charity founded by Victoria Thornton to raise awareness and appreciation of the urban landscape. 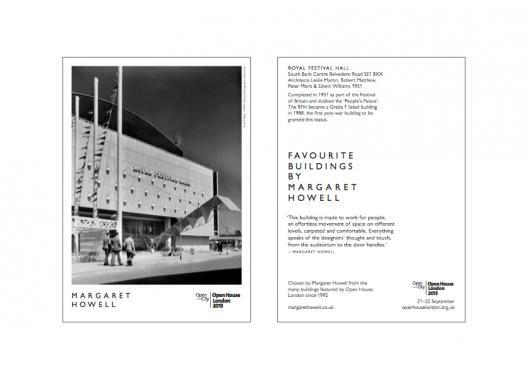 Open-City actively promotes public engagement and education programmes, encouraging a dialogue about the built environment and urban regeneration projects. 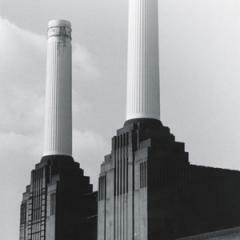 Established in 1992, the charity offered the public access to private and public buildings of architectural merit over a single weekend in September, many of the buildings were open to the public for the first time. 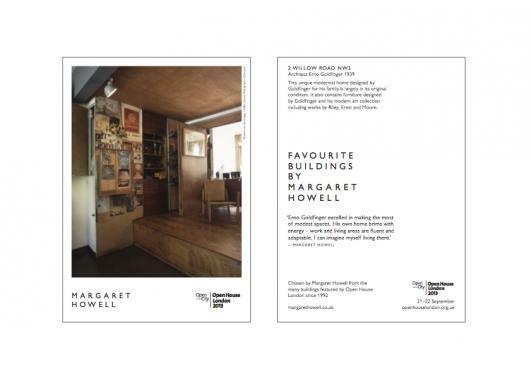 The initiative was known as Open House Weekend, launched in London and now a global annual event across twenty cities including New York, Buenos Aires, Tel Aviv, Perth, Barcelona, Rome and Helsinki. 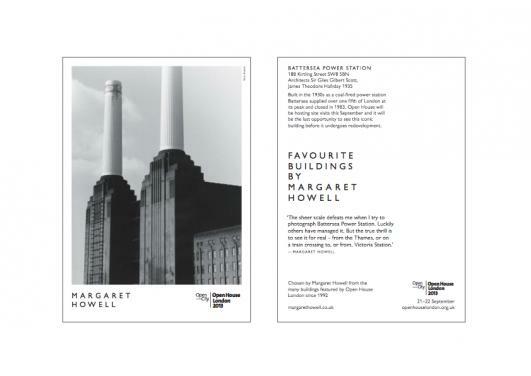 For this year’s Open House London Weekend (21 – 22 September) Margaret is supporting Battersea Power Station and encouraging the public to visit the building before the site is handed over to developers at the end of September. 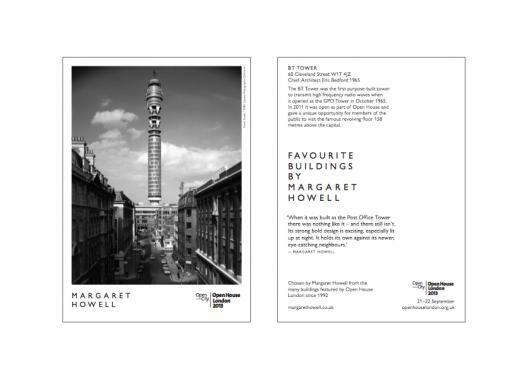 Margaret has produced a series of postcards showing a selection of her favourite Open House buildings, the postcards will be available at Battersea Power Station and other key venues over the weekend.